When someone searches for your business, a window should appear on the righthand side of Google search results summarizing your business address, hours, phone number and website. There also is usually a set of pictures showing your business. You may think that what is shown here is left up to the Google Gods, but the reality is you have a lot of agency in how your business presents itself in this Google search area. Beyond editing the address, hours, website and phone number, you can add in whatever images you want to represent your winery. For consumers looking for places to go tasting, this is your chance to make a great first impression with a captivating image of your tasting room, vineyard, cellar, etc. This can all be done from the Google Business hub. If you are more of a delegator (or time-crunched), we are happy to set this up for you. Below: A winery Google Business Profile done right. Notice the excellent image of the tasting room interior, a map to the tasting room, correct business information and some solid reviews. “I don’t have the money for a nice new site”: This is based on the fact that websites used to cost a lot more than they do now. Times have changed and beautiful sites can be built quickly at more affordable prices (Vinbound sites start at $2500 for Squarespace and $5000 for WordPress). “Nobody is influenced by websites”: Some of our winemaker clients don’t often go wine tasting or buy wine online, and thus they underestimate how powerful a website is in shaping consumers’ first impressions of your winery. Websites remain a major first touchpoint for consumers when it comes to being introduced to your brand, and you want to ensure you are putting your best foot forward to encourage their patronage. “I don’t have the time or technological know-how to maintain a site”: Some website elements should be updated fairly regularly, such as your upcoming events and current wine releases. Older website systems were often very difficult to update by anyone but the developer, and thus it became an expensive burden to have to hire a developer anytime a small change was needed. Fortunately, times have changed. We develop on Squarespace and WordPress, both of which make ongoing editing a breeze. Both platforms integrate with a lot of great commerce solutions as well. About half of our clients happily edit and manage their new sites themselves with no issue, and the other half just keeps Vinbound on a low-cost tech support plan to make content changes for them. Wineries are surrounded by endless beauty. Unfortunately, we see many wineries with gorgeous tasting rooms completely fail to convey this beauty on their websites and social media. This is a major mistake, especially for wineries trying to get people to visit them. In deciding where to go wine tasting, the bulk of consumers will spend at least an hour online visiting website after website to plan out their ideal tasting trip. Does your website inspire them to visit you? Or did you put up just a couple small images and call it a day? Free your pictures from their hard-drive prisons and let them go to work in attracting new business to your winery. A) Instagram. If you don’t have an instagram account, set one up now. This completely visual platform is low maintenance and the perfect place to share your photos on a regular basis. You can have the images pipe directly onto your website, thus keeping the site content updated everyday. B) Your Website (See point #2). For examples of some of the highly visual websites we have built, see our portfolio. E) Google Image Search Results. 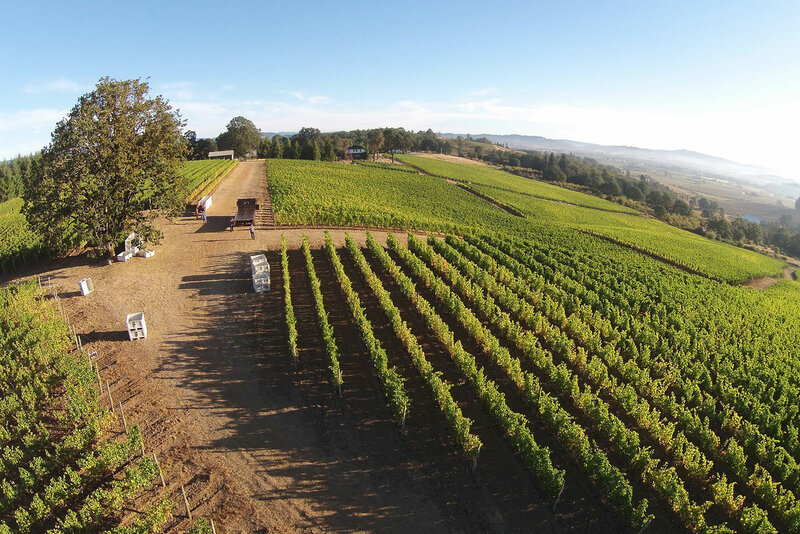 Here’s a Pro Tip: Have your developer tag your images with titles and descriptions like “beautiful Oregon vineyard” or “Vineyards with a view Washington”. 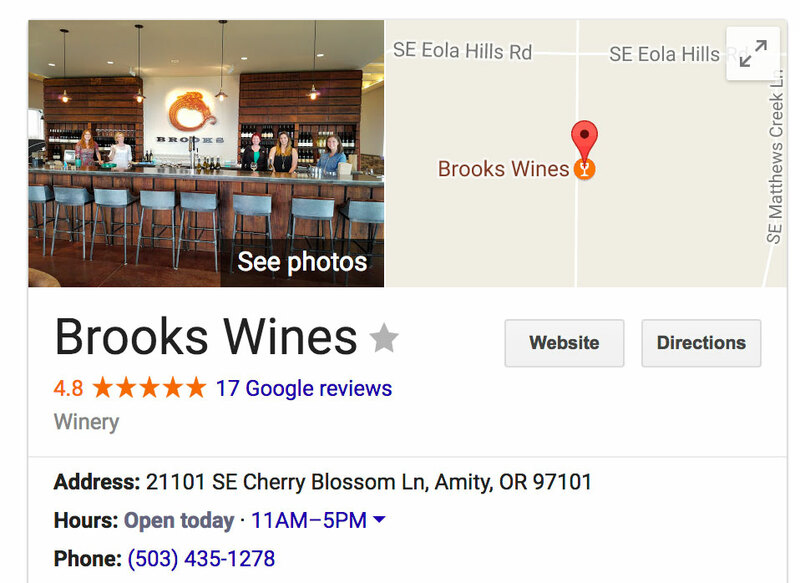 People who search Google Images for terms like these in their hunt for wine tasting ideas will now stumble across your images and be led to your website. Ready To Build Your Winery Website?